H&M needed an attention-grabbing installation for their flagship store in Manhattan. Their objectives were to excite customers, generate worldwide publicity, and create marketing leads. We created the Selfie Mirror, which offers two primary functions, both controlled by voice. The “fashion inspirations” feature showcases products that H&M want to promote, using featured looks posted on their website. 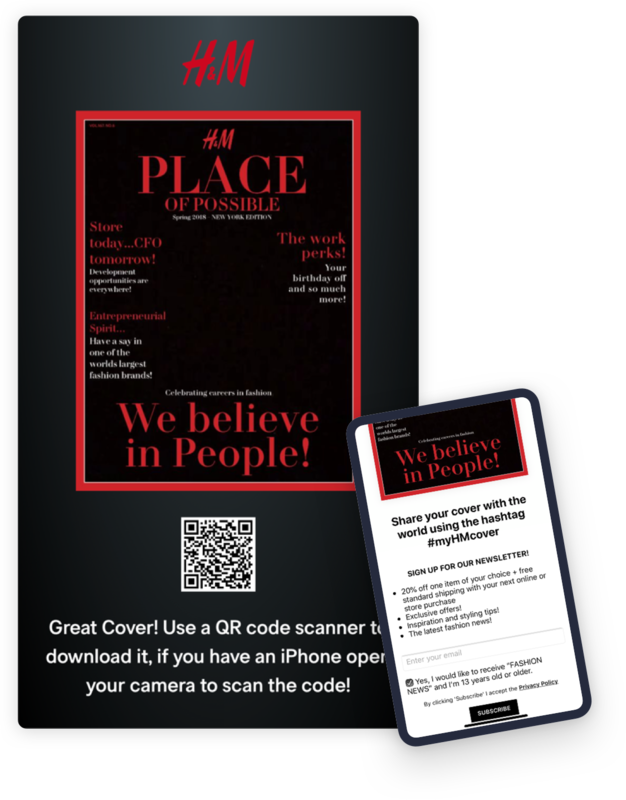 The “selfie” feature enables customers to create a picture in the style of a magazine cover which they can download to their mobile device or share on social media via a QR code. After using the mirror, customers are invited to sign up for H&M promotional emails. How does an Ombori Interactive Mirror work? 86% of customers who took a selfie scanned the QR code. 10% who scanned the QR code signed up for promotional emails. The mirror received press coverage in more than 25 countries, which has been read by over 8 million people. In terms of shopping, the most outstanding performance is the major fast fashion brands. H&M New York store launches voice-activated mirrors, how far is the immersive shopping experience? In the era of rapid development of e-commerce, offline stores can no longer just stop at a sales channel, but need to transform into an immersive, experiential shopping scene to convey accurate brand value to customers. L’idea dietro questa nuova tipologia di oggetto è quella di permettere ai clienti una visione “smart” dei capi che stanno provando. It is impressive, the way in which people interact with advanced technology in a natural way, so much so that they speak naturally with a screen and it responds to you according to your requirements. "We learn how fashion and technology create new ways of interacting with customers," says Daniel Kulle, H & M North America’s boss. The purpose of this intelligent system is to create a closer connection between customers and brands. Swiss fast fashion brand H&M recently installed a voice-activated smart mirror in the flagship store of Fashion Square in New York. H&M ha recentemente istallato il primo specchio intelligente nel flagship store di Times Square a New York. This smooth-talking tech-enabled mirror works pretty well, as an H&M employee and several customers demonstrate in the video, and it sweetens the pot with a 20% off coupon. Microsoft, Ombori and Visual Art worked to create the device, which “sleeps” until facial detection technology turns it on. Fast fashion chain H&M is combining interactive mirrors, voice technology and QR codes in its New York Times Square store. With this innovation, it seems like H&M is bang on trend: digital assistants and smart technologies are also playing an increasingly important role in retail. With smart technologies playing an increasingly important role in retail, is it time for more high street stores to take note? H&M is rolling out a voice-activated mirror in a flagship New York City location. 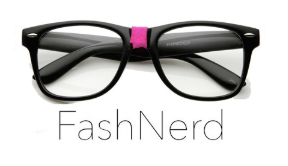 The device offers style recommendations, selfies and a route to eCommerce. According to Hassellöf, successful future UX design will be anchored in creating systems that truly justify the title omni-commerce, where it will be possible to create a retail experience that’s a rolling journey of communications using different tools. Den modeintresserade kunden kan genom tal instruera spegeln att ta en selfie och få bilden placerad som framsidan på ett livsstilsmagasin som kan delas digitalt med vänner och familj. Microsoft, Ombori und Visual Arts haben sich für dieses Projekt zusammengetan und einen Spiegel entwickelt, den es bisher so nie gab. In New York am Times Square wurde der erste bereits aufgestellt und kann von den Kunden getestet werden. H&M NUTZT SPRACHGESTEUERTEN INTERAKTIVEN SPIEGEL. In seinem Flagshipstore direkt am Times Square in New York experimentiert Modehändler H&M mit einem besonderen interaktiven Spiegel. Das System nutzt Sprach- und Gesichtserkennung, um mit dem Kunden zu interagieren. Der Modehändler H&M testet in seinem Flagshipstore am New Yorker Times Square einen interaktiven Spiegel mit Sprachsteuerung und Gesichtserkennung. An dem Projekt beteiligt sind Microsoft, Ombori und Visual Arts. H&M nutzt jetzt eine Kombination aus Sprachsteuerung und Gesichtserkennung, um via Spiegel mit seinen Kunden zu interagieren und den Omni-Channel-Umsatz anzukurbeln. Das Gerät – gemeinsam mit Microsoft, Ombori und Visual Art entwickelt – gilt als das erste dieser Art. Vergleichbare Spiegel werden nicht per Gesichts- oder Spracherkennung, sondern per Touchscreen bedient. I bolagets flaggskeppsbutik i New York testar man nu så kallade smarta speglar. Spegeln kallas för “Voice Interactive Mirror” och kunder kan genom att prata med spegeln bland annat kunna ta selfies och få modetips. ”Spegel, spegel på väggen där”. Precis som i sagorna har H&M tillsammans med Microsoft, Ombori och Visual Art utvecklat en teknik som gör att en spegel genom röst- och ansiktsigenkänning kan svara på kundernas frågor.